In our previous post, we interviewed giftee Inc. This time, we continue to celebrate reaching over 1.7 million Cacoo users worldwide with our next interviewee. 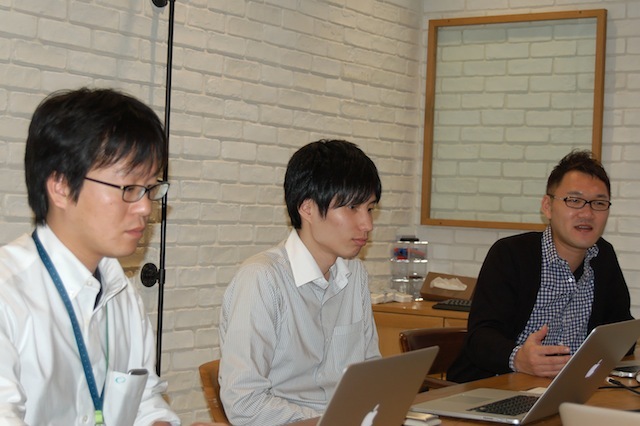 For our second case study, the Cacoo Ninja visited iret, Inc. in Tokyo. 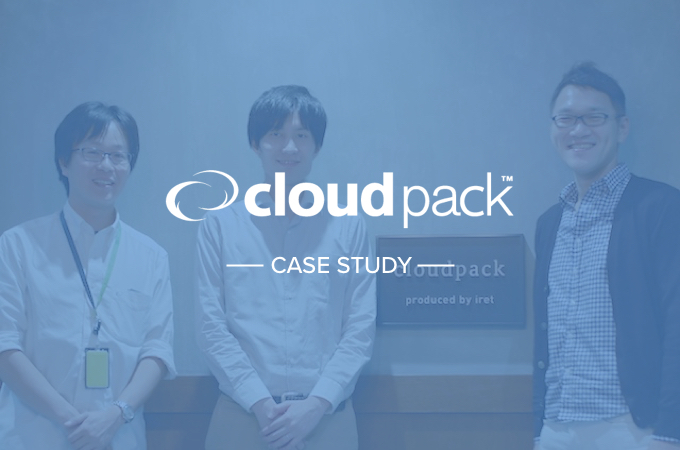 You might know them by the name cloudpack. Description: Under the name cloudpack, iret provides a wide variety of representative services for operation and maintenance of Amazon Web Services, including Amazon EC2 and Amazon S3. iret’s other services include website system development and maintenance, RIA application development, and mobile app development. 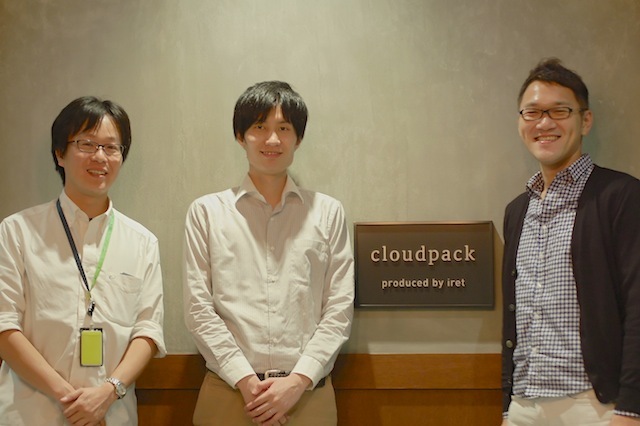 Sugihara (left), Tamura (middle) and Goto (right) from cloudpack (iret). 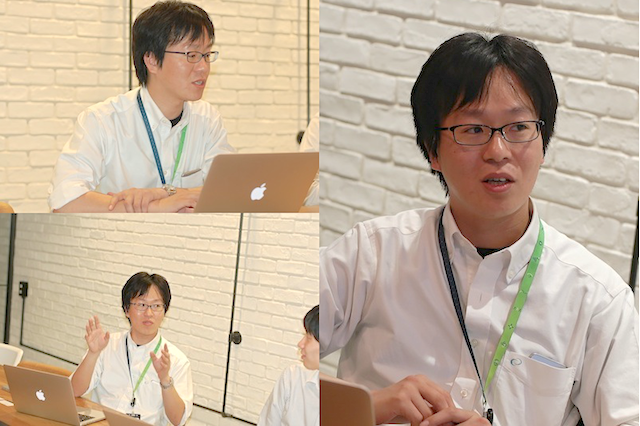 Tamura: I design and build a cloud system architecture using the AWS in my team. Our clients come from a variety of industries, from gaming to large manufacturers, and work on projects big and small. 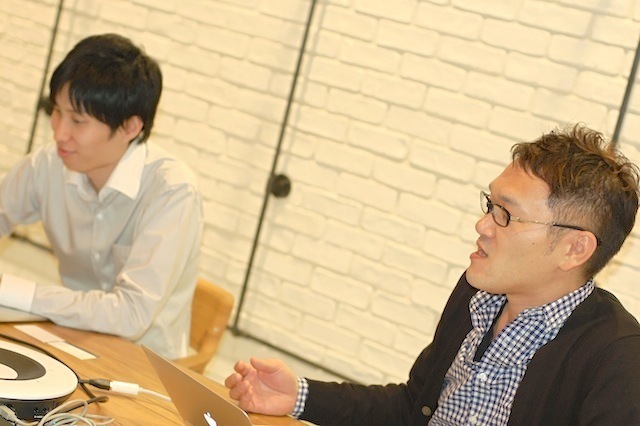 Sugihara: I work at the sales department and promote our services to clients. 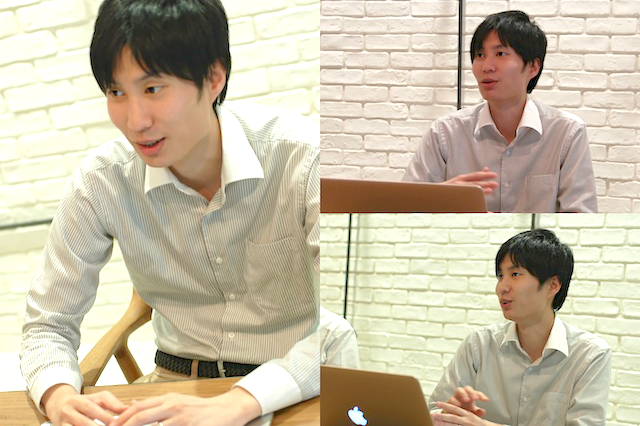 Goto: As an evangelist, I take care of the branding and marketing activities at events and study sessions. And as an executive officer at cloudpack, I’m responsible for overall business strategy formulation and implementation. Goto: cloudpack is what we call a managed service provider. It provides 24-hour support building and operating AWS. Of course, if you wanted, you could also operate AWS by yourself, but this can be a complicated process, especially since the payment process is based on US dollars. Some clients can’t pay with a credit card so we deputize for those cases. Our company’s engineers also have a lot of knowledge about the cloud, so we also provide construction support so our clients don’t have to worry about this. What kind of industries are your clients from? Goto: When my company was created, our main clients were the companies that needed to construct and operate a campaign or e-commerce website since we were also originally familiar with system development. Recently, more of our clients have been coming from game-related industries. We’ve even gotten large companies that want to use a cloud to replace their current infrastructure. Our clients also include many manufacturing companies. It seems like cloud business has been very hot in recent years! Goto: Yes! This year, it’s our fifth anniversary since launching cloudpack, and we have been certified for three consecutive years as a Premier consulting partner in the top rank of AWS partner companies. Five years ago, there were only 20 people at my company and of those 20 only a couple on the cloud team. But now we have more than 90 employees. Based on this growth, I really think this cloud business is extremely popular. So you were the first to start using Cacoo in your company? Goto: Our engineering team was the first to use Cacoo at my company. Then it expanded to almost the whole staff. For me, I started using it around the time when AWS simple icon was released as a stencil. Cacoo let me create and share diagrams with my clients at different stages of production. It was helpful for explaining things like “the configuration will be like this” or “such access could be possible.” I really feel Cacoo is a very convenient tool and has good usability. I especially like that I can create diagrams for whatever I want. I think that Cacoo also gave an impact to the community element. How about Mr. Tamura and Sugihara? How do you use Cacoo for your work? 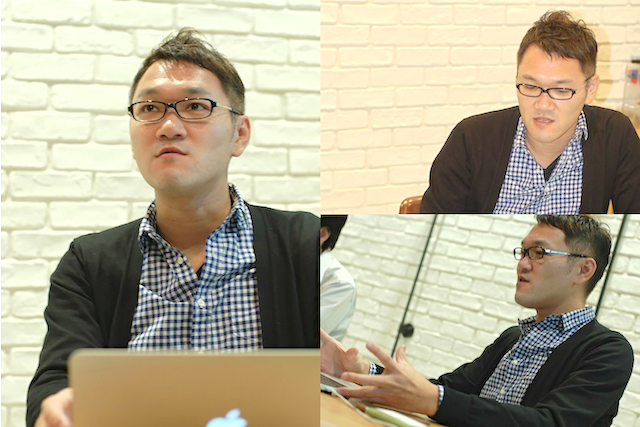 Tamura: I use Cacoo when I propose our service to potential customers by creating pre-sale configurations. Usually, I explain it on paper or in person, but I found it’s easy to do it while showing a diagram. To explain the difference between scale-up and scale-out or show an example of using deployment tools, I prepare some diagrams in Cacoo. I save and re-use these later. Sugihara: I also mainly use Cacoo for drawing diagrams such as flowcharts. I use it to create sales documents for Wadance, which is another one of our services. I export the images from Cacoo and put it in PowerPoint. Before using Cacoo, I used PowerPoint to make documents. It was not easy to create images. Goto: Before using Cacoo, we had few choices: either PowerPoint or other tools such as Adobe Illustrator that only a limited number people can use. Cacoo is not just a drawing tool for our engineers! After using Cacoo, the main benefit was that it solved the problem of purchasing licenses for expensive software such as Adobe Illustrator. Cacoo is a very inexpensive tool that still has enough design features for engineers. 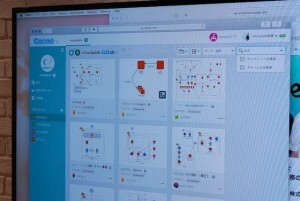 Sharing diagrams is now very easy unlike before with PowerPoint. In addition, sharing lets us reuse past documents. I’m glad that a more secure plan, Cacoo for Business, has been offered, and we are able to set permissions and restrictions for sharing. Tamura: Version management was previously quite terrible [bitter laugh] but now it’s improved. I like the revision history feature. When you process design and construction, the diagrams could be changed more and more, but you can check it before/after in Cacoo. Tamura: I would recommend it for technicians who are not good at explaining just with words. Even for the non-Japanese speakers, Cacoo would work for them. It makes things easy to explain. Goto: I agree. Cacoo is useful as a common language. I use the AWS icon, and with Cacoo it’s easy to understand. Also, I think that Cacoo would be the perfect tool for startups since you can start using it for free, there’s no installation barrier, and your plan could be changed to match your company’s growth. You don’t need to worry about crashing and losing data. The cloud’s advantages are a big, unique benefit. 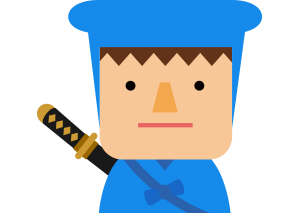 Tamura: When I want to share a diagram created by Cacoo, I export them as PNG and PDF files. Then, I share the diagram with my clients through Backlog, so it would be great if Cacoo diagrams could be shared directly to Backlog. It was a great opportunity to hear you guys opinion and feedback directly because I’d like to improve more and more in the future. Thank you so much for your time! iret, Inc. is a professional group and I feel like it was helpful for us to hear how they use Cacoo and what they want from our service. We will continue to create more user-friendly service!